Recently, the BBC’s Horizon programme had a feature called ’10 things you need to know about the future’ and of course, there at number 1 were Drones or Unmanned Aerial Vehicles (UAV’s) The opening to the BBC’s UAV feature mainly focused on the future of flying cars, a dream usually confined to science fiction writers and futurologists. However, now in this technological age, that science fiction is quickly becoming science fact and flying cars are becoming a reality. A quick search online provides much evidence of this reality, revealing big players in the aviation business are hopping on board. Aviation firm Airbus, for example, revealed the ‘Pop Up’ the first modular, fully electric, zero emission concept vehicle system designed to relieve traffic congestion in crowded megacities! 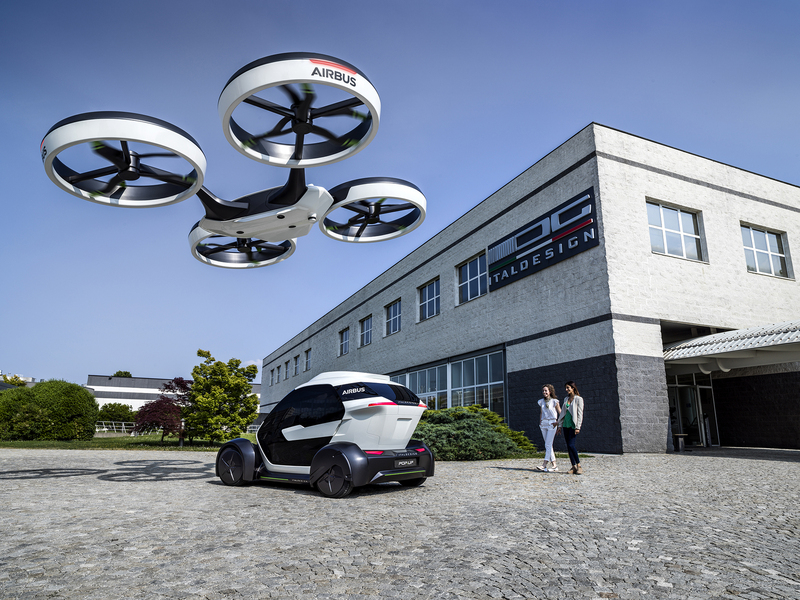 Airbus, working in conjunction with Italdesign have developed an incredible looking hybrid vehicle, part car part drone. Its not just the aviation industry that are taking advantage of this new technology. For quite a few years now, the film industry have used drones to capture aerial footage. From stunning nature programmes to aerial shots of big cities, UAV’s are taking over our airspace to capture our world in all its glory. The cost of UAV’s, up until now, have been out of reach for the average consumer, but that has all changed. It is now affordable and easy to become a pilot of a drone, fully equipped with a compact high resolution camera, to be able to capture high resolution stills and video footage wherever you want. Of course, this information is for the casual flier of UAV’s, the professional flyer will need to take a course and, in effect, get a license to fly, in order to be able to take their drone to greater heights and capture, safely, the footage they require. Here at UAVsWorld we offer both types of training, from amateur to professional, and can help you get in the air quickly.